This is a piece-by-piece breakdown highlighting the gear I will be carrying with me on my PCT hike in 2011. I will be attempting to keep my “base pack weight” down as light as possible. 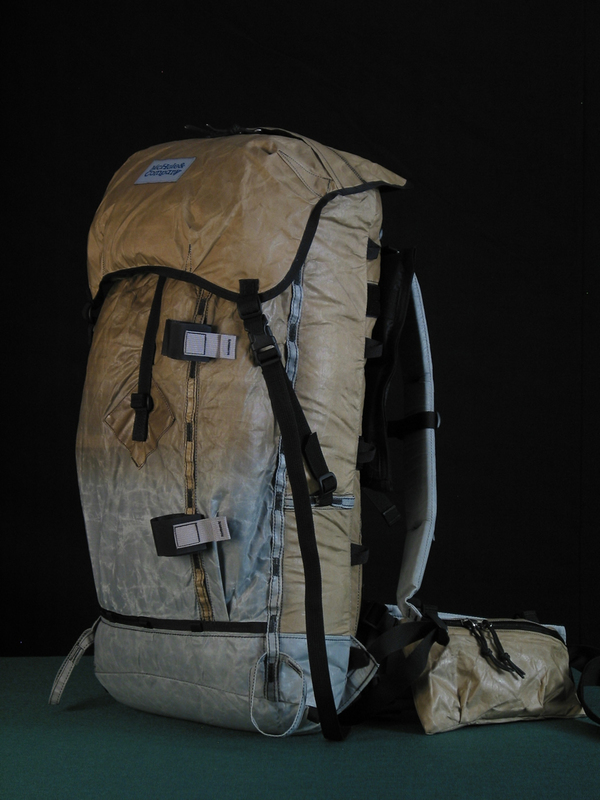 (“base pack weight” refers to the total weight of all equipment carried NOT INCLUDING food and water). I’ll list each item, with pictures where possible, and weight in ounces (oz.) or grams (gms.). (For reference sake, there are 16 oz. in a pound, 28.35 grams in an ounce). Very excited to say I will be sponsored by McHale Packs At the end of my thru-hike. Dan McHale was generous enough to donate a dyneema “Windsauk” model, complete with side bottle holsters. I will drop the pack off to him after the hike, and he will study it and use the results for his research and development. I’m very honored to be able to use one of his packs in this way. What’s also VERY nice is the weight savings from my previous pack (the Gregory Baltoro 70): almost 3 lbs. Awesome. More specific pack details to come later. My sleep system will be the “Sierra Sniveller” quilt and optional quilt liner by Jacks’R’Better. A three season quilt that will be able to keep me warm down to sub-freezing temperatures. Light olive green on the outside for heat reflection, and black on the inside for heat absorbtion (helps to dry out faster when turned inside out & left in the sun). The Sierra Sniveller is baffled to 2 inches and is over stuffed to achieve 2.5 inches of loft. 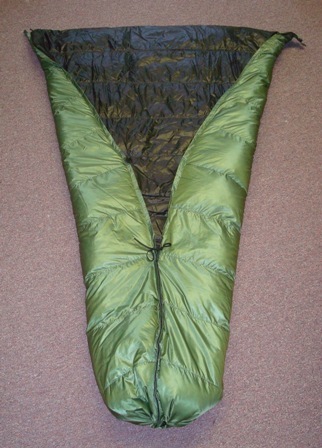 Made ultra-light using 1.1 ounce ripstop nylon with DWR treatment, and filled with 800 fill power goose down. The Sierra Sniveller weighs 24 oz., comes with a 1.2 oz. 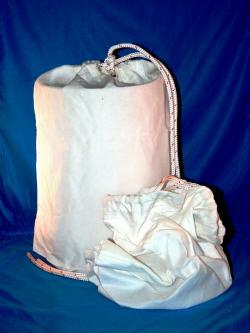 silnyl compression sack, and can be stuffed to 7”x7”x9”. I’m extremely thankful for this piece of equipment, as my original bag was good, but also close to 3.5 pounds. Thanks, Jack’s! Shelter’ under the tarp, or if it’s nice out, by itself. Alpinlite Gear "Bug Shelter 1.25"
are both open, and the sides usually lifted up from the ground, the ventilation is such that condensation doesn’t have a chance to build up overnight. Conversely, in a tent this condensation can get so bad it can dampen a campers sleeping bag/clothes, leaving the bag wet inside and less useful the next night, or leading to a cold and fitful sleep. At worst, it can lead to a bad situation in terms of not being able to stay warm enough. In my case, I will have a goose down filled sleeping quilt, which loses it’s warmth if it’s damp/wet (unlike synthetic filled bags/quilts, which retain a good amount of warmth potential). So for me, finding a tarp system that would provide adequate coverage along with excellent ventilatioon with the added protection of a beaked end (see picture) was crucial. 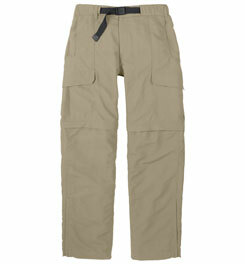 For more on Gen’s products, click here to go to the Alpinlite Gear website. I was going to go with titanium tent stakes, until my tarp from Alpinlite Gear showed up, and inside were packed a full set of these Easton Aluminum Nano tent spikes. A small, unexpected gift from Gen at Alpinlite Gear! 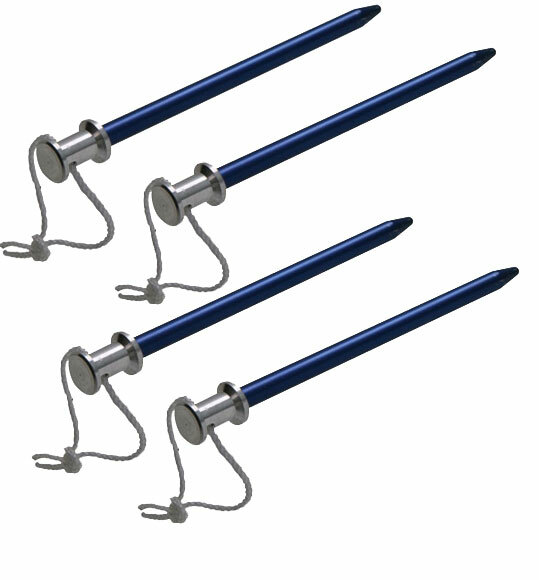 Forged in “Tahoe Blue” (appropriate, as I live about 90 minutes west of Tahoe…) these are hollow tent spikes, very lightweight weighing only .38 ounces per stake, and the blue color helps in locating the stakes when dropped or while breaking camp. If you haven’t checked out Alpinlite Gear, please do. The gear is fantastic, and the customer service just simply cannot be beat. 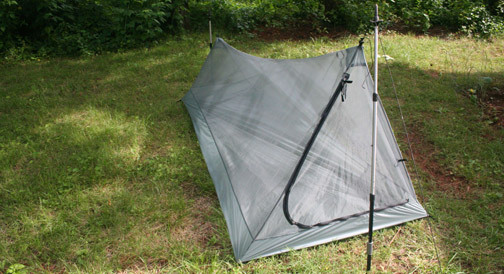 I’m going to list the trekking poles here, under the tarp, as they will be used as supports (front and rear) for the tarp. 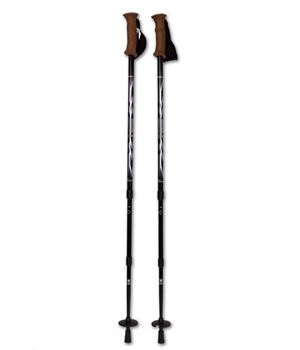 I’ll be using Mountainsmith Carbonlite Pro trekking poles, weighing in at 18 oz. combined for both. Not only good for helping set up my tarp, but I’ll use them in some of the more mountainous regions, as they will take pressure off my legs (especially on descents, which are notoriously hard on knees). Made of carbon and aircraft grade 7075 aluminum, the poles are pretty rugged & come equipped with comfortable cork grips, anti-shock absorption system, removable baskets, rubber boot tips as well as carbide tips. 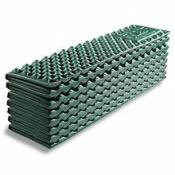 Super lightweight, closed-cell foam pad that packs away easily. I have the option of folding it over on itself in half and sleeping with extra cushion, or cutting it and only using one half of the pad to save weight. I’ll only need to cushion my shoulders to my hips, so full length isn’t as important. Footwear: Used to be “hiking” was synonymous with “hiking boot.” Maybe so, but things may be changing! Biometrically, a running shoe will generally be better for the foot than a heavier, stiffer boot. On a hike where I’m going to walk over 20 miles a day, every day, lighter will be better as well. They say one pound on your feet is like three pounds on your back, so lighter is definitely a plus. For that reason, I decided to go with trail running shoes for most of the hike, with a lightweight boot thrown in for good measure through the Sierra. 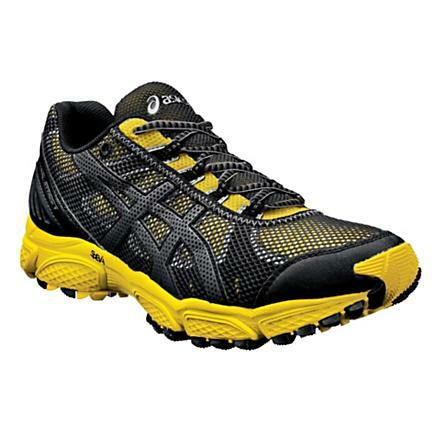 My shoes will be comprised of the Asics “Trail Attack 7,” a brand new shoe out this Spring. Cushiony yet stabile trail runner with typical tread suited for varied terrain, I will wear this during the first section, and hope for 500-600 miles from it. It has a breathable mesh upper, which will allow my feet to breath during the warmer desert portion. 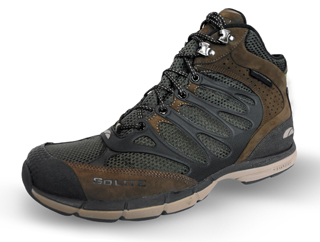 I will switch to the GoLite “Comp” trail runner right after the “Attack” wears out. The “Comp” has a more aggressive tread pattern, which will be better suited for elevation gains and losses. It is also ventilated yet with a water resistant coating, which will retain a little heat, but not much. 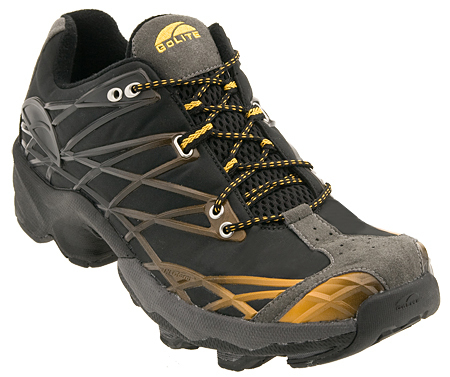 When I get into more snowy areas, and in through the Sierra, I have two pair of GoLite “Timber Lite” boots. These are lightweight, breathable ‘fast packing’ boots, intended to be able to both move quickly, and perform well on snow and ice. I was not concerned with having a boot for ankle protection at all, but I found these on sale at a whoppingly crazy low price, and they are not much heavier than a trail runner, so I decided to go for it. Also, they are built on the same type of last as the “Comps,” so my feet won’t be adjusting to drastic new styles of footwear. This season is looking to be a little wetter (if forecasts hold up), and I wanted a little more protection from the elements. 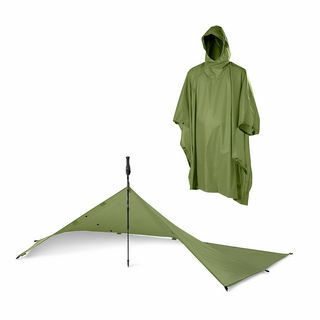 I decided to go with the GoLite “Poncho/Tarp.” The cool thing about this piece of equipment is that it serves two purposes, while being very light on your back (a mere 7 ounces). The first is as a poncho, which is specially designed to allow for more space in the back. All the better to cover a pack with, which is exactly what its designers had in mind. 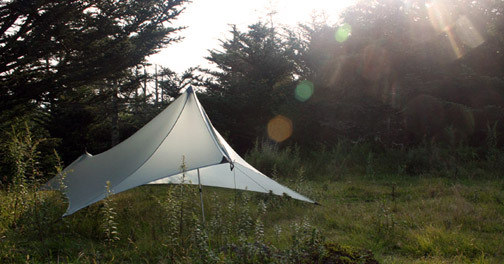 The second is as a fully pitchable tarp, capable of keeping the weather off of you while sleeping or providing shade during a lunch break where there is no shade available. Made of 15 Denier Ripstop Nylon; Silicone/PU 1200mm Waterproof Fire Retardant Coating. This model (although a previous version, 11 ounces to the current 7 ounces) was used by Andrew Skurka in his C2C trek, so it’s been tested well. I’ll be using two types of gloves on the trip: 1) a lighter weight, yet warm glove that prvides wind protection and takes the edge off the cold morning/evening bites in the mountains and deserts, and 2) a bigger, more insulating glove for when I hit the snowy areas. For the smaller glove, I really wanted something that I could wear on its own, yet also use as a lighter insulating glove if I needed more protection, by wearing under the warmer, larger gloves. 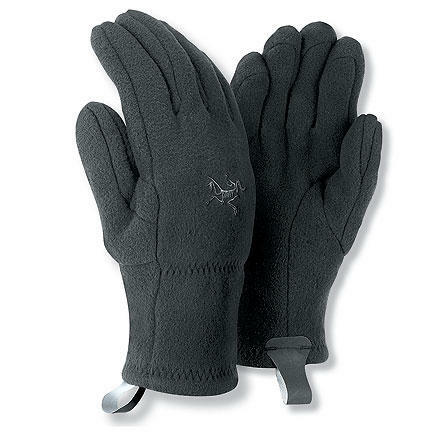 For the lighter gloves, I have the Arcteryx Delta SV gloves. 1.92 oz. of pure wind-breaking light warmness. They will be my go-to everyday glove. I again had another type of mitten in mind, but a great deal came my way on the BackpackingLight website gear swap, that I had to jump on it. I’ll be using a pair of slightly used Outdoor Research “Rain Mitts,” an overmitt style design that will fit over my existing Arctery’x gloves. Waterproof & windproof yet still allowing sufficient dexterity in my hands/fingers. Although this mitten is no longer in production, I thought for $10 I couldn’t pass the deal up. I’ll be using two sets of gaiters for the trip, and both were purchased used off of the BPL “Gear Swap.” The first is the taller, slightly heavier “Flex Tex” gaiters, and I will use those in the snowy pass areas, as they give a little more protection from the icy stuff. Water resistant and well made. Constructed with very tough material, with a front velcro opening, they will keep ice and debris from entering my shoes. Well…so the theory goes. made of slightly thicker material. These will keep dirt and debris out of my shoes through the desert and the other sections where mild temperatures are predominant. I chose to use the Patagonia “Houdini” shell based on excellent reviews, and the weight savings over other options out there. 3.7 ounces. 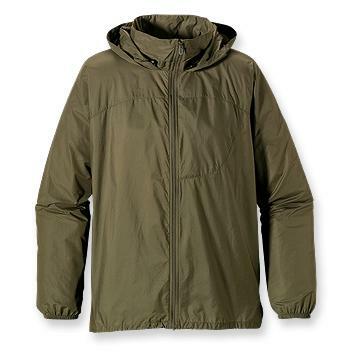 Highly breathable, light textured soft-shell fabric has a strong, triple ripstop pattern and a slightly transparent appearance; DWR (durable water repellent) finish. Makes a good protective rain jacket and overlayer if it’s windy as well. Used in conjunction with an umbrella during rainy days, should keep me pretty dry. Will bring this along as a baselayer in the Sierra and beyond. Since I’ll have the R1 Hoody as well as the Nano Puff jacket, and Houdini jacket (all are long sleeve) this shirt will allow for more core body coverage and not bunch up on and overheat my arms. 10.9oz., and quite possibly one of the most used & useful pieces of equipment I bring on the trip by far. This top was originally manufactured by Patagonia over ten years ago, then discontinued much to many outdoor enthusiasts’ chagrin. Beloved in the mountain climbing world, it was tough to find a good, technical piece of gear like this that performed and had such thought put into it. The bottom (waist) area is actually a little thinner, which saves weight but is also more comfortable under a backpack belt or climbing harness. The thumb loops keep the sleeves in place during strenous climbs/ascents or crossings, and the hood is balaclava style. The overall fit is not typical of a loose and baggy sweatshirt, but a little more form fitting. The inside material is designed to wick away moisture, dry faster, and also trap heat produced by the body. I found mine on the BackPackingLight website forum Gear Swap at an amazing savings, in unused condition. I’ll be carrying this with me the entire trip. I was able to buy these thanks in part to a very generous Christmas gift (an REI gift card! Thank you Joan, I love you! I don’t care what Santa Claus says about you! 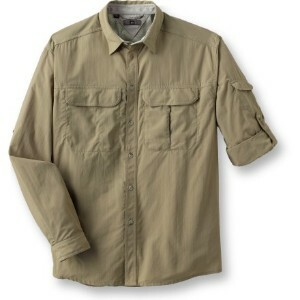 😉 ) Made of midweight, abrasion-resistant, water repellant nylon, they weigh 17.6 ounces. Quick drying and UV rated to 30. A little heavier than I wanted to have my pants weigh, but I figure that since they are “convertible” style (meaning the legs zip off, making them into shorts), I can leave the pair of shorts I was going to bring along home. 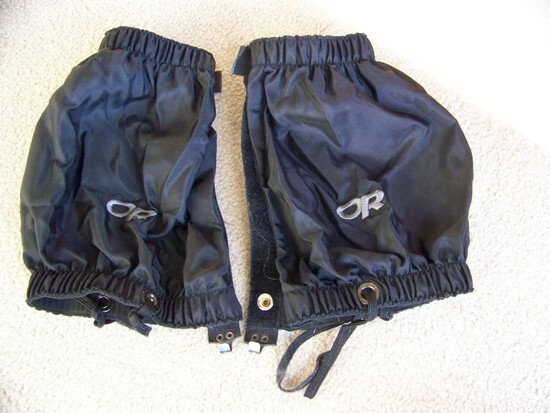 Yep…these pair of shorts/pants will be it…for 4 months…2,650 miles…and nary a washing machine in sight. We’ll see what they’re made of! TrailLite Designs "Cloud Kilt" rain kilt - 3.7 oz. Many thanks to Thom Darrah at TrailLite Designs for the use of one of his newly-designed “Cloud Kilts.” Essentially a wraparound skirt made of cuben fiber, this will keep me dry from the waist down. In researching for the hike, I came across the idea of a rain skirt. Being of Irish/Scottish lineage, I’m not averse to wearing a kilt, and when I thought about this type of design it really made sense. A rain skirt has definite advantages over rain paints: A) Easy on/off. Take it out of your pack, wrap it around your waist, clasp belt. Done. (With pants, you more than likely have already muddied your shoes, and have to slide your muddy shoes through the pant legs…yeah. You get the picture! A mess!) B) Ventilation. You don’t have to worry about getting all fogged up inside your stuffy rain pants, and having to worry about the rain outside increasing the condensation inside your pants. This can actually have a negative effect on staying dry. C) Lighter Weight. Generally, less material = lighter weight penalty. I’m fortunate, in that these will be made of cuben fiber and weighing a mere two ounces. Amazing. I’m looking forward to trying these out. 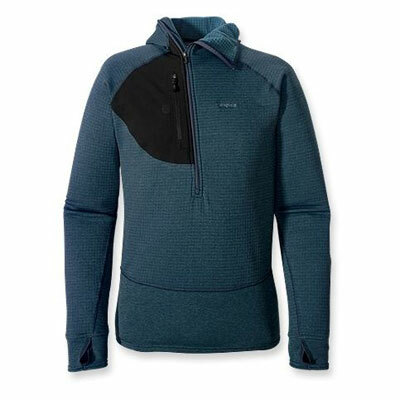 Patagonia "Nano Puff" pullover jacket, 13 oz. 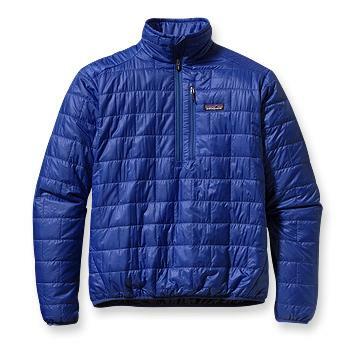 I chose to go with the Patagonia Nano Puff pullover jacket (in blue) as my insulating layer. Made with synthetic fill instead of down was big for me, as down loses its insulating protective qualities when it gets wet, and becomes heavier, not to mention takes longer to dry. Not to be overdramatic, but if you are in a situation where you need warmth in inclement weather, those are potentially bad qualities for a piece of equipment you will need to keep you warm. So synthetic insulation it was. I went with a blue color as it’s more visible than the black or grey, and easier to spot if anything happens to me while I’m wearing it. My jacket is about two years old, only worn a couple times and bought used for a HUGE discount. The new Nano Puffs are approximately 10.5 oz., mine is about 13 oz. Less than a pound for an awesome piece of gear. (Big “Thank you” to Bruce from the BPL website for an amazing deal). ExOfficio Men's Give-N-Go™ Boxer Brief - 3 oz. Will be packing one pair with me and sending one other in my bounce box as a back up. I’ve heard amazing things about these briefs, and I mean, when you hear amazing things about BRIEFS…there’s gotta be something special there right?? They supposedly dry quickly, have an anti odor/bacterial agent (always nice after multiple 20 mile days, no?) and weigh 3 oz. Pretty sure the model to the right looks better in them than I do, but I’m not going for style points! I looked all over for a good beanie, and came across several that were really top notch. 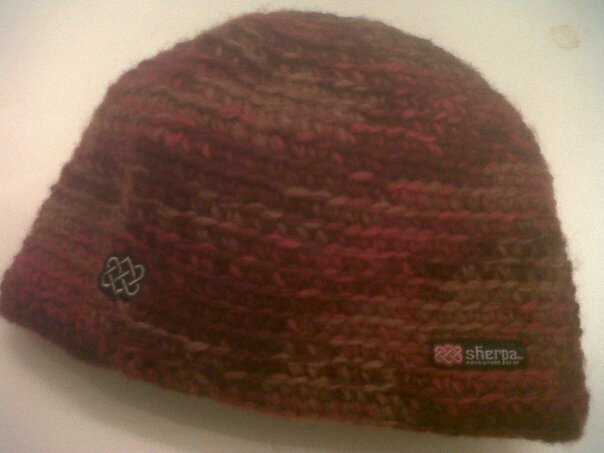 I ended up choosing this Sherpa Adventure Gear beanie for a few reasons: 1) It’s fairly lightweight, at 3.5 ounces. 2) It’s made of wool, which is inherently warm yet quick drying if wet, and retains warmth if wet. Wool is also extremely tough. 3) It covers my ears snugly, and does not slowly ride up and leave them exposed like some beanies I have. I like this! 4) There is a width of fleece around the inside of the beanie which makes for a very non-itchy, super comfortable fit. 5) I thought it just had a great design to it. 6) It gives back to others. They aren’t sponsoring me, but I wish they would. They make some great looking gear. Another score from the BPL “Gear Swap,” the “Seattle Sombrero” is an excellent hat. 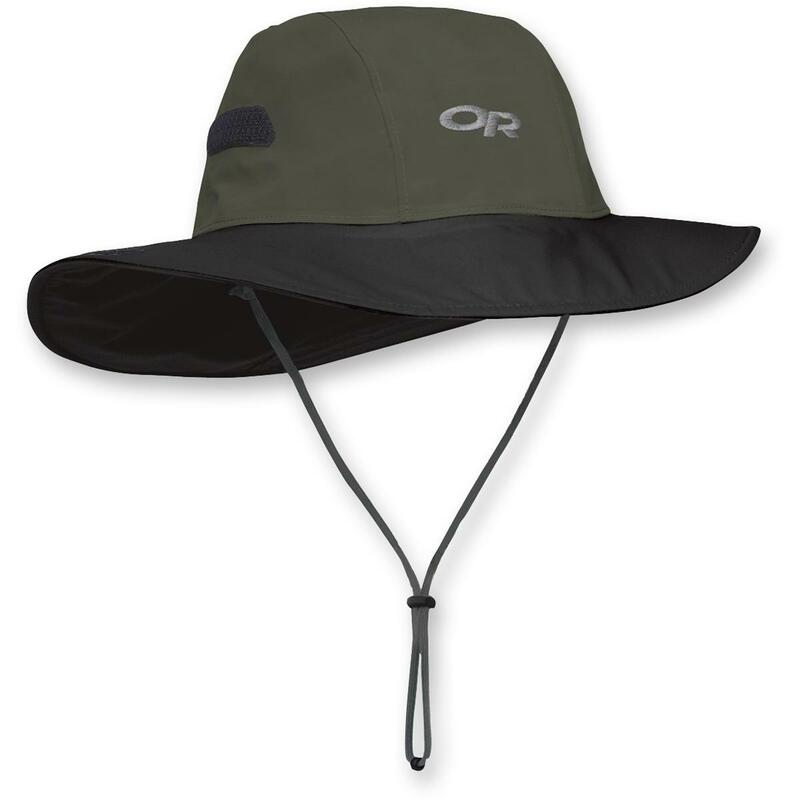 Wide brimmed to keep sun off your face, and also keep rain and snow out of your eyes. Made on the outside with a 70 denier Taslan Gore-Tex dome, fully taped for wind/water protection. 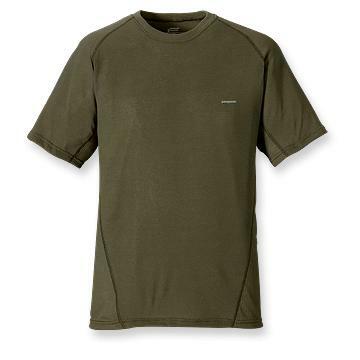 On the inside, a soft brushed tricot trim that feels warm and soft to the skin even when wet. Has two velcro catches on each side so you can wear the briims up “Aussie” style or “cowboy” style. Was voted Backpacker® Magazine’s 2005 Editors’ Choice Gold Award. (Many thanks to Brian A. from the BPL site for an absolutely great deal). I’ll wear this visor for the first half 3/5 of the trail. 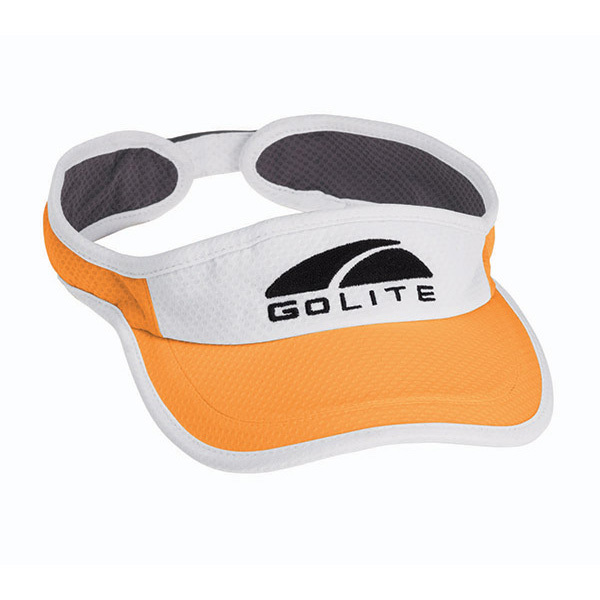 I’ll be able to have some versatility by either just wearing the visor when I don’t need a lot of shade, to wearing the visor over a bandana, which will shade my neck, ears, and sides of my face when necessary (most prominently the desert portion in the beginning of the trail). What’s nice about this visor is both its lightweight nature, as well as the underside of the bill colored to refract light away from my face. 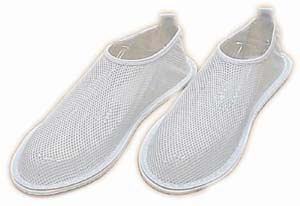 Sprint Aquatics "Nylon Mesh Shoe" 1.8oz. I’ll be using a homemade side burning cat food can stove on this trip. I’ll first get a 3 oz. can of delicious cat food (with the lighter can material), have a nice meal, then wash the can out, and arrange holes in it just like in the picture. My stove will cost me .99 cents, take 15 minutes to make, and weigh less than an ounce. (You can see it’s size in comparison to a Lego man in the picture). How it works: pour a couple ounces of denatured alcohol in the bottom of the can, light it, let it burn for 20 seconds, then set my pot directly on top of the can. The flames will then come out the sides of the can, evenly heating my pot. 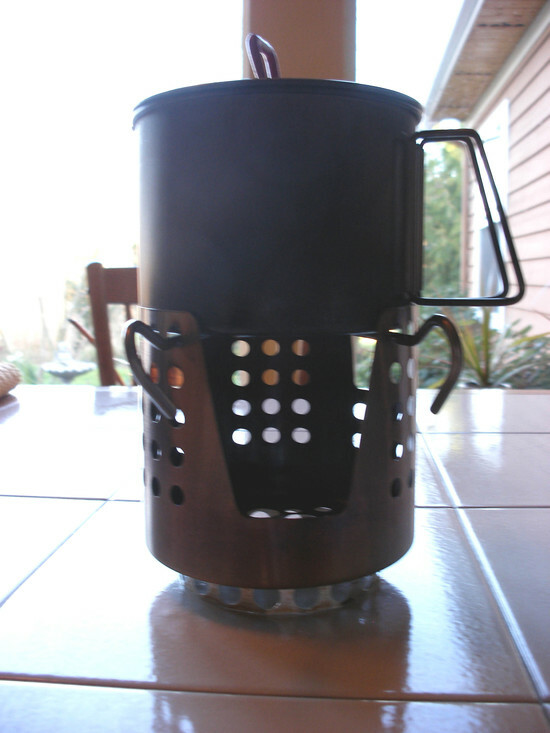 Picture of the modified kitchen utensil holder with pot fit snugly inside...tin foil windscreen, lighter/matches, spoon, and cat food can stove fit inside the pot. Made from an Ikea kitchen utensil holder, and cut down to maximize usefulness, this will come in handy in a couple of ways. 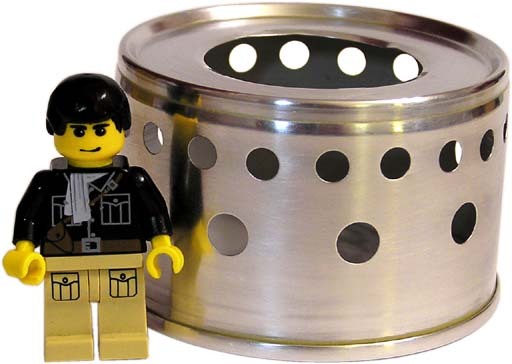 First, the pot will fit perfectly inside of it, helping to protect the pot. Second, the holder will be able to keep the pot above the flame at varying heights if needed, so it allows cooking flexibility. 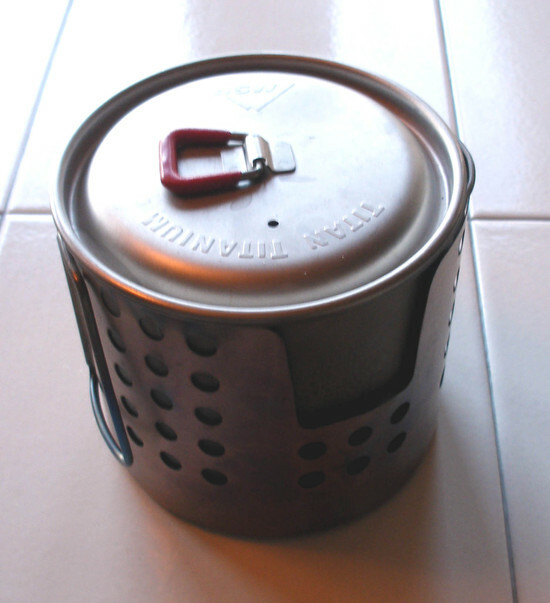 Third, it can utilize two different types of fuel: I can place the cat food can stove at the bottom (fueled by denatured alcohol) or I can use twigs and small wood chips I find on the ground (I won’t be breaking branches off of trees…I’ll be observing the method of living lightly and leaving a small footprint, while caring for nature as much as possible). Using two of my titanium tent stakes, I will be able to position the height of the pot above the flames of either the cat food can stove or the wood. It also acts as a slight windscreen as well. 3 ounces. 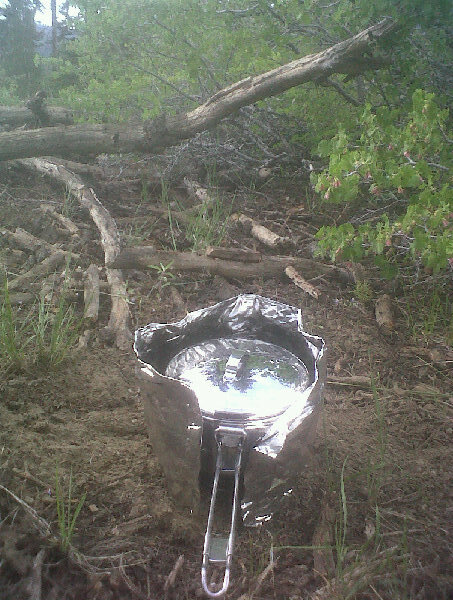 Picture of pot sitting above fuel area, supported by tent stakes. To increase the effectiveness of the stove and save fuel, I’ll be using a homemade wind screen made out of several layers of tin foil. I’ll wrap it around the stove and pot, protecting the stove & pot from wind and retaining heat upwards to help boil my water faster. Also, a small piece placed underneath the cat food can stove will keep heat from escaping downward into the ground, and save fuel. Eventually the flames will wear through the aluminum foil, but each piece will last about 3 to 4 weeks, where I will find some more tin foil in one of the supply towns and make another. Cost: essentially free. Weight: less than an ounce. approval by adding an insert, which ups it’s weight to 1.4 lbs but still much lighter than any other approved option, and it has more storage, 650 cubic inches. MSR Titan Titanium Kettle. Great little kettle, .85 litres, and only 4.2 oz. in weight. A little squatter than some cookware, but that works better with the stove. 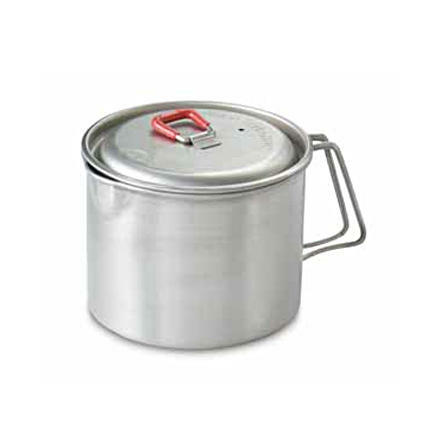 If the cookware is too tall, it takes too long to boil the water, and there is wasted heat on the thinner sides. With this, the bottom catches all the flames, and works very efficiently. The Only Eating Utensil I'll Need! 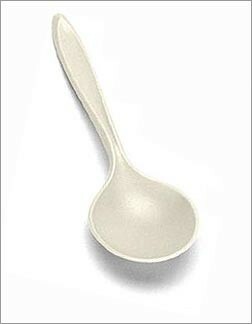 Lexan Spoon. .4 ounces, virtually unbreakable polycarbonate. I’ve used these camping for years, and love them! They clean easily, they don’t melt or break, and as long as I’m not careless, one will do me for the whole trip. I usually won’t need a fork for anything (if there is a part that will break, it’s a fork tine), and if I need a knife, I have my regular hiking knife. 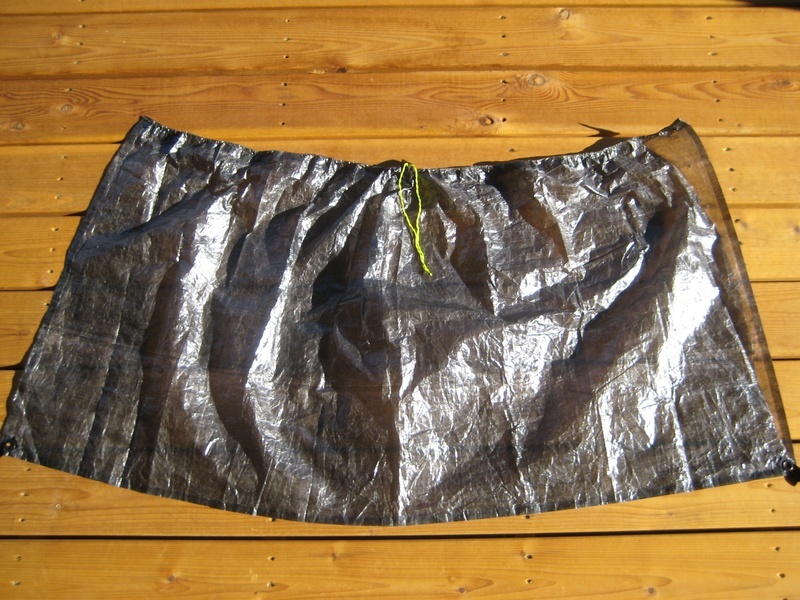 To keep my food seperate from the rest of my gear, I’ll keep it in this cuben stuff sack made by ZPacks. 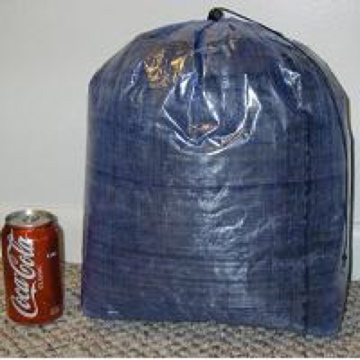 This bag will hold all my food during each leg between towns (up to 7-10 days at times). Specs are 11″ wide by 5.5″ deep by 12″ tall, and approximately 750 cubic inches/12.3 liters, and weighs only .85 ounces. 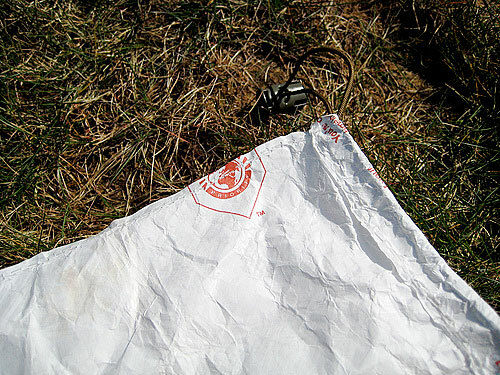 The cuben fiber itself is very sturdy and difficult to tear (heavy duty 1.46 oz/sqyd cuben fiber) and will be an effective deterrent to mice, marmots, or any other small/medium sized varmint with designs on eating my grub when I’m alseep or not looking. (Many thanks to Joe at ZPacks for sponsoring me with this, and several other cuben pieces. Sincerely good people to deal with). Staying properly hydrated will be a very important. Starting from the California/Mexico border, the first 700 miles of the PCT is pretty much desert. I’ve read and heard stories of hikers getting pretty well dehydrated in this section, so I will take extra water carrying bottles on this section. I’m planning on carrying between 4-6 liters of water between water stops, and as I get farther along into the Sierra, drop down to just 2-3 liters. My water containers will be a nice cost cutting/weight saving area. I’ll be using two 2 liter plastic soda bottles (1.7 oz. each) as my main large water bladders. 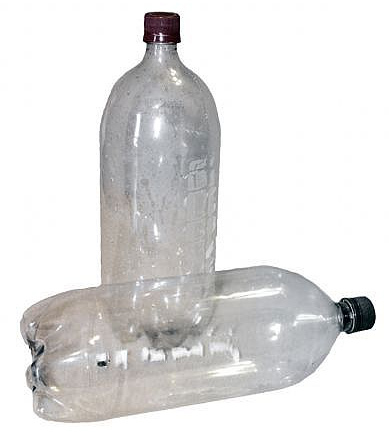 The common 2 liter bottle is made out of a super strong, very lightweight plastic known as ‘polyethylene terephthalate.’ The good thing about the plastic bottles is they are collapsable when they are partly full or empty, which will be a space saver. I’ll have two other plastic bottles with a 1 liter capacity as well. Basically, all my water containers will be free and very lightweight. In the first section (desert) of the PCT, I will carry between 6-8 liters of water, and as I make my way farther north, I will only carry 3-4 liters. Nothing too crazy or exotic here, but even in this area I have to make sure I’m watching item weights. I’ll spare the details of posting pictures of a toothbrush and other items, so here’s a brief list of what will make up my toiletries: Toothbrush w/ shortened handle: .3oz., Dropper bottle of Dr. Bronner’s soap/toothpaste: .4oz., Aloksak 5″x4″ for TP: .5oz. (w/TP), Wipes (“Wet Ones”): 1.1oz., BPL balm jars for sunscreen, hydropel: .7oz., BPL dropper bottle (for isopropyl alcohol): .2oz., Chapstick: .2oz., Deet insect repellant. I’ll use “Wet Ones” wipes as my “showers” each day. The last thing I want to do is kill any unsuspecting wildlife with my foul smell, so I’ll do my best to stay fresh. To that end, I’ll have some Dr. Bronner’s liquid soap with me as well, to wash clothes with, hands, dishes, and to use as toothpaste. Sounds gross, but it’s pretty amazing stuff. I’ll have some in my pack in a little dropper bottle, as a little goes a long way. Hydropel is a type of slick anti-chafing product, and I’ll have a small dropper bottle of isopropyl alcohol for an assortment of uses. Chapstick and sunscreen will be useful all through the trip. Thanks to my little sis, I am stocked up on Chapstick for about 3 PCT hikes! This won’t keep me warm if I’m caught in a rainstorm, or stop me if I’m sliding down a snowbank, but I do consider it one of the most important pieces of equipment I’ll be carrying. Essentially an iPad but much much smaller. It will be my platform to staying connected with this website and keeping everyone updated and informed on my progress and well-being on the trail. Able to capture 720p hi-definition video, then edit that video in two different video editing programs (“iMovie,” and “Splice”), I will then be able to upload videos straight to the website and to YouTube. It will make following me that much easier, and you get to enjoy it in hi-def. Unfortunately, they did away with the GPS and scrimped on the quality of the still camera to make the hi-def guts fit inside, so it won’t do as a stand alone still camera. 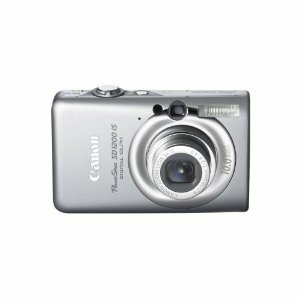 I will be on the lookout for a decent yet inexpensive point-and-shoot. I was fortunate enough to have a co-worker who wanted to sell his small digital camera, and he gave me a great price on it. So a tip of the hat to you, Jonathan. 🙂 It’s a 10 megapixel camera, and takes some nice, clear pictures, and can be a back up video source if needed. This camera was definitely a want, since the iPod Touch takes such poor quality still photos. I won’t be carrying an actual cell phone with me, but I’ll carry a phone card to make any necessary calls when I reach a town stop. Also, if you have an Apple iPhone or ‘Touch’ 4G, I can communicate with you via “Face Time.” Let me know if you have an iPhone or ‘Touch,’ and I’d be glad to be able to talk with you, face to face (where wi-fi allows). Also, I’ll have the Skype app loaded as well, so that’s another way to leave me a message or communicate via voice. Too cool. I was tossing around different ideas for resupplying power to the iPod ‘Touch’ while I was between towns and in the backcountry. I thought of a small solar recharger, or a device that translated AA batteries into useable juice, but I decided against those after further research. They were not a great idea because of cost or technical efficiency or weight. 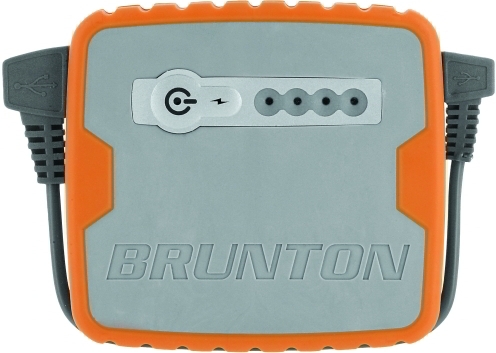 So I came across the Brunton “Inspire” recharger, which takes about 3-4 hours to charge from a wall or car socket, and delivers about 3 full recharges to the ‘Touch.’ It weighs just 5.5oz., and is water resistant. Best of all, it is the least expensive of the other options, by a large margin. What camping trip would be complete without a cool camping knife? Well, being the guy that I am, I love knives. Even though I found one camping with my dad once, and I managed to cut myself pretty good with it (I was 6!) I’ve always loved a cool knife. I have a very nice Buck 119 Special with a beautiful cocobola wood handle, but it’s more knife than I want to carry for a long trip like this. I will be using a Gerber “Mini Paraframe” folding knife. 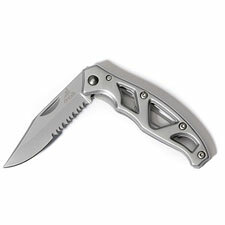 It’s lightweight, but still sports a decent 2.25″ serrated blade, and weighs only 1.4 ounces. Just found it at REI, and really am happy I did. Inexpensive, too, only $12. 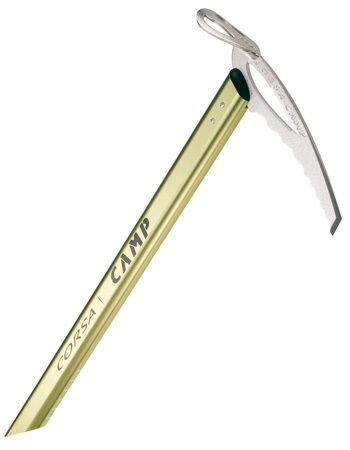 One of (if not the) lightest ice axe in the world. Built from tough and light 7075-series aluminum. Hot-forged, aluminum head. Sharp end is good for ‘self-arresting,’ and the flat end (adze) is good for digging steps in the snow where needed. I bought this axe from Andrew Skurka, who used it on his 6,875 mile “Great Western Loop” trek in 2007. The axe is in pristine condition, as he said it was rarely used since it was a light snow year. I’ll be hoping for the same. I logged on over here to wonder about your water bottles. Are they really that indestructible? Seems to me I’ve seen a few bust, and I can think of few things more disastrous to through-hiking in a desert. I’ve never done a through hike, but from my shorter peregrinations over here on the AT, I’d recommend taking a look at the inflatable thermarest. I guess there’s a risk to using anything mechanical (valve break, I guess?) 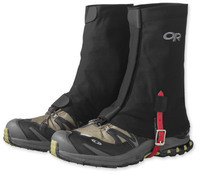 like that, but I love its compression and usually sleep great on the trail. One other observation for food – orzo is great, quite light, very nutritious, cooks quick. Goes great with dehydrated ‘shrooms and such like. I have heard of a plastic 2L bottle failing before, but the good thing is they do stand up to quite a bit. I’ve heard of one guy who had one make it almost the whole PCT. Honestly, I feel safer with one of the 2L soda bottles than a soft Platypus-type water container, but maybe that’s just my ignorance. 🙂 I’m no pro. But they are light enough that I will be taking an extra in addition to the planned bottles, so I have a backup. And in every town, I can pick up another one for free from a trash can or general store. I like inexpensive! We are glad you got a trail name, although we have come up with some ourselves. Here were some of our suggestions: Bigfoot, Dig Dug, Dug Dog, Dug the Bug, Banana Man, Dug in a Rug, Iron Man, Slingshot, Hot Sauce Hot Shot, Hot Tamale, Butterfinger, Where’s Dug-o (like Where’s Waldo), and the list goes on…..sillier and louder…..we had to stop! WOW! You are brave! What color was the snake? (We can’t get youtube at school.) We hope the tarantula didn’t crawl up your pant legs or that it is isn’t still hiding in your things. How many tarantula holes did you see? Soooo are you to Canada yet?! ha ha! Just kidding! Our class can’t wait to see how far you’ve gotten this time. What do you do for fun on the trail? It sounded like you had fun with all those instruments! Keep up the good work! We hope you stay safe and healthy. We are looking forward to hearing from you again! We are proud of you! Tell the other hikers we say HI! Thanks so much for following along with me on this adventure! Well, the snake was brown, with dark brown markings. But I didn’t get too close! There were MANY tarantula holes, at least 100. But thankfully I never saw one. I’m not a fan of spiders. I’m not to Canada yet, I still have 2,315 miles to go. I should be done by September though. Thank you all for your encouragement and kind words! It really lifts my spirits! I told some of the other hikers “hello” and they said “hello!” back! Keep studying hard in school! Hey Justin, I used a lot of things. I read books that people had written about their experience on the trail, like “Dances with Marmots,” and “A Blistered Kind Of Love,” among others. Then I grabbed Wilderness Press’ guides to the trail, as well as the PCT Data book, and Yogis Guide, and another guidebook by “Walking Brit”. If you google “Pacific Crest Trail books” or search Amazon, you’ll find most of the same books I used. 🙂 But the books folks wrote about their experiences, and the trail journals people kept on Trailjournals.com or postholer.com were the best! Did he ever make it? Hey Mike! I made it just over the 2,000 mile mark. I was putting in 25-30+ mile days, feeling amazing, gear and diet was perfect. I came to the realization, though, that i needed to jump off the trail to start preparations for the non-profit that I needed to start. I had no idea I would be starting a non-profit when I began this journey, but it had become clear to me while on trail that that was, in fact, the reason I was on the PCT. Since I jumped off the trail 4 years ago, I’ve started the non-profit (The Oasis Projekt, which helps victims of human trafficking), ridden a bamboo recumbent bicycle across the USA for trafficking victims, taken a team of people to the UK to attempt the ‘3 Peaks Challenge,’ and bought a 79 passenger school bus to convert into the rolling headquarters for my non profit. Lots going on!